Good health and optimal functioning require that you get moving, have proper nutrition and maintain a healthy mindset. You’ve probably heard the expression, “You are what you eat.” The problem is that most of us don’t get the nutrients we need for healthy bodies from our diet alone. If you aren’t obtaining enough of the proper nutrients from the foods you eat, you might consider nutritional supplementation. This can range from purchasing a daily multivitamin to an individualized supplement plan intended to help boost your treatment for a particular condition. 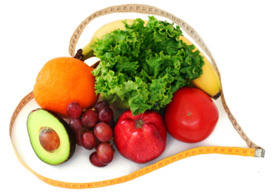 Take advantage of Dr. Wysocki’s expertise for nutritional counseling in Kenosha. If you’d like something we don’t have, just ask us, and we’ll be happy to special order it for you. Giving your body the proper nutrients helps you move more freely and think more clearly. Contact us today to learn more!